Bethesda Hospital is an independent hospital situated on the stunning shores of Perth’s picturesque Swan River. They have been serving the community for over 70 years and are committed to providing excellence in care for years to come. 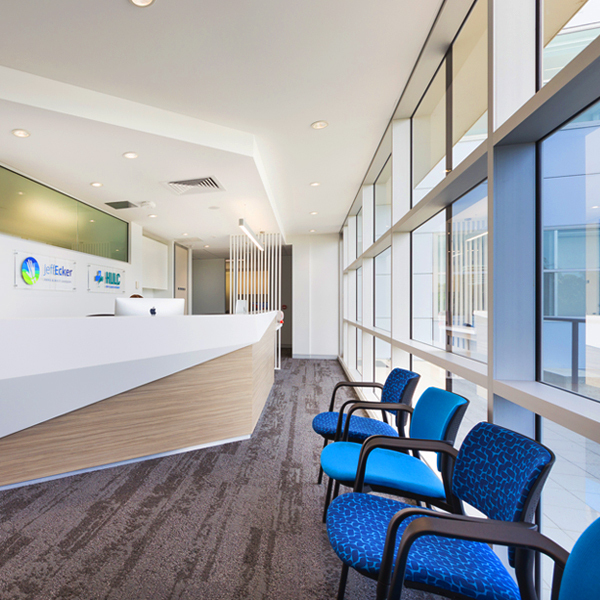 Bethesda Hospital is an independent hospital situated on the stunning shores of Perth’s picturesque Swan River, overlooking tranquil Freshwater Bay. They have been serving the community for over 70 years and are committed to providing excellence in care for years to come. 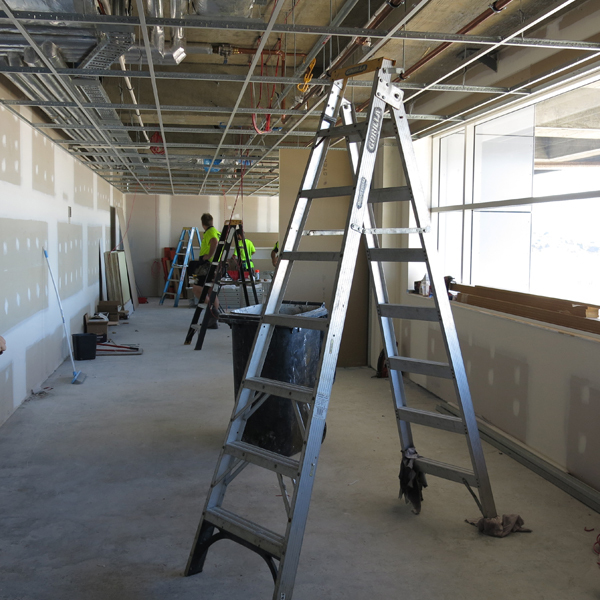 Working closely with Bethesda Hospital and the Tenant, Habitat 1 designed and constructed 5 consulting suites, an occupational therapy suite, reception / waiting area and administrative offices. The space was designed to not only meet the function brief but to encapsulate the spectacular views. 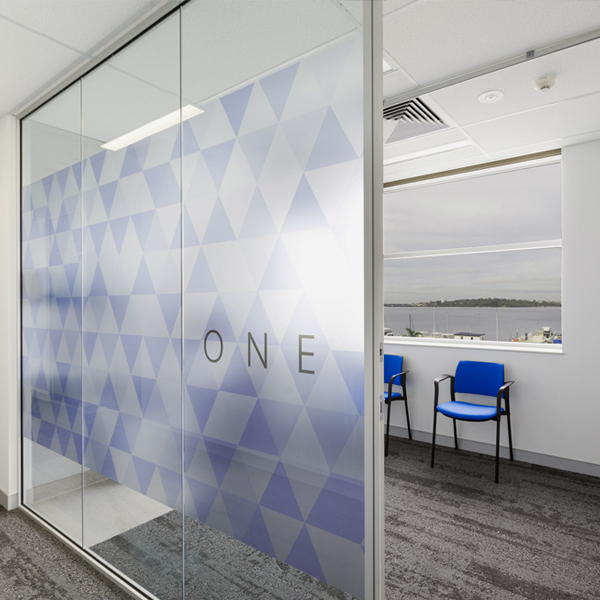 As a results the reception ares and consulting offices are flooded with natural light and features a fresh colour palette of greens and blues, providing a calming environment for patients and staff. Habitat 1 approaches every project as a unique challenge and an exciting opportunity to develop the most dynamic and efficient spaces. Our Team has a strong commitment to design and through vigorous investigation, careful consideration and attention to detail, we are able to produce highly resolved, site responsive outcomes. Habitat 1 has a three staged approach to the design and construction process commencing with concept development followed by detailed construction documentation and then Project Delivery. We firstly sat down with Bethesda Hospital to carefully understand the strategic direction and operational needs of the client. 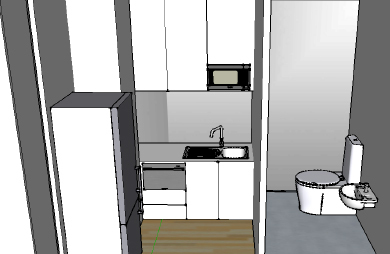 Our designers then transformed the brief into a functional and productive concept plan, working with the client to optimise the layout until the ultimate floorplan is achieved. 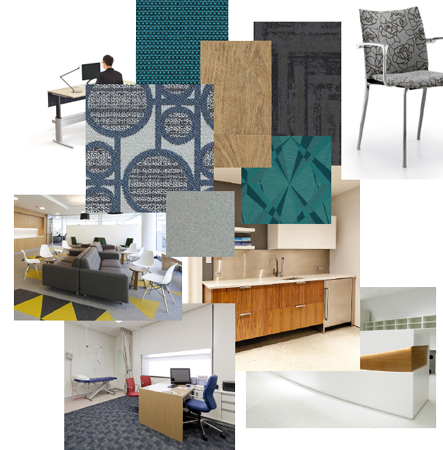 The designers knew the importance of achieving the balance between aesthetics, functionality and budget all whilst ensuring that the design complied with the strict regulations that surround a private hospital. They produced a ‘look and feel’ presentation package that encompassed proposed finishes selections and design features creating the design direction for the project. 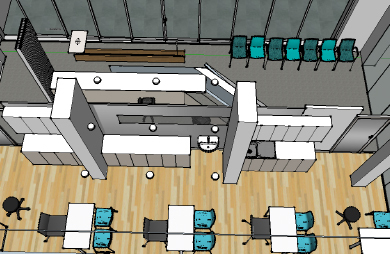 To assist in conveying what the finished project could look like we developed a 3D model* that allowed the client and project team to virtually walk through the space at this early design stage. *3D models are an additional cost. With the design direction decided, our team took the concept plans to a full documentation level where all aspects of the project were detailed. Due to the complexity of this project it was essential that every area of the documentation was executed with the utmost of excellence and attention to detail. This is the most important phase of the project where our design skills and expertise are injected. By ‘building’ it on paper first, we worked out all the finer details to ensure that the construction process ran as smoothly and efficiently as possible. Our comprehensive understanding of the current regulatory processes of building and private hospital regulations enabled us to achieve greater success in creating a cohesive and well resolved product. Habitat 1 also developed all the planning and approvals documentation required to ensure that the Development Application (DA) for the change of use, Certificate of Design Compliance (CDC) and Building Permit were all successfully lodged with the relevant authorities. 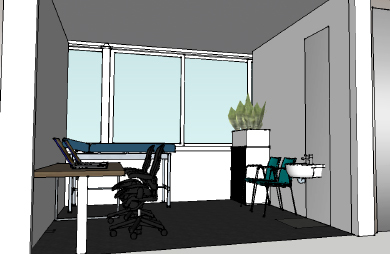 At the end of the stage we presented a full set of architectural and services drawings and specification packages. After agreement with Bethesda Hospital Habitat 1 undertook all the base build make good works. This saved the project both time and money as we were able to schedule all the works to be done in the most efficient manner. This also meant that Habitat 1 was the central point of contact for the entire project meaning the ‘buck stopped with us’ if there were any issues. 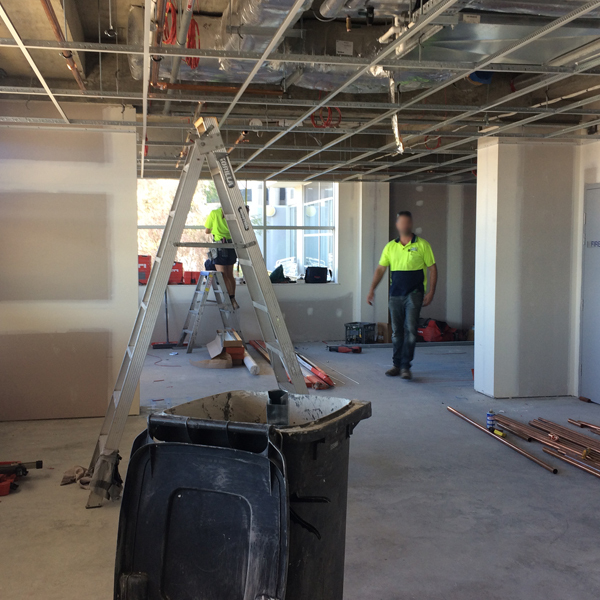 The Construction of this project was complex due to private hospital regulations and working within a new section of a refurbished building. 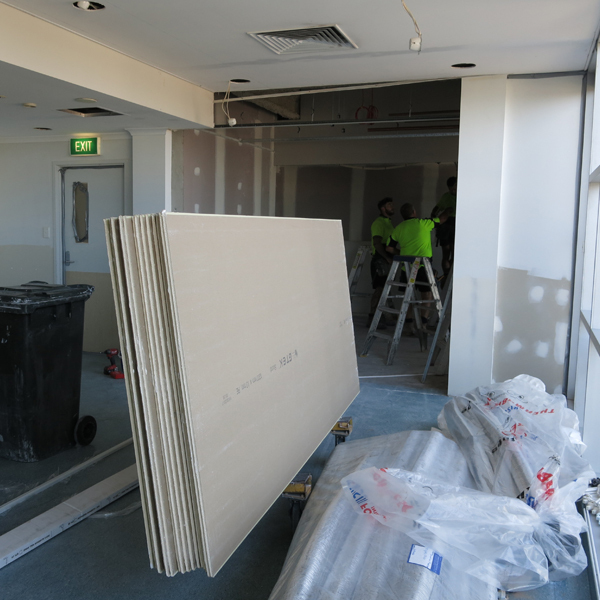 The mix of new and old services within the site and managing Disease and Infection Control whilst working under the surgery room was challenging. Due to the experience of the team and our strict adherence to the regulations of the hospitals we were able to effectively partner with the appropriate parties to successfully deliver the project. Habitat 1 then coordinated the Certificate of Construction Compliance (CCC), AIP (Approval in Principal, ATC (Approval to Construct), ATO (Approval to Occupy) and LARU Approval. 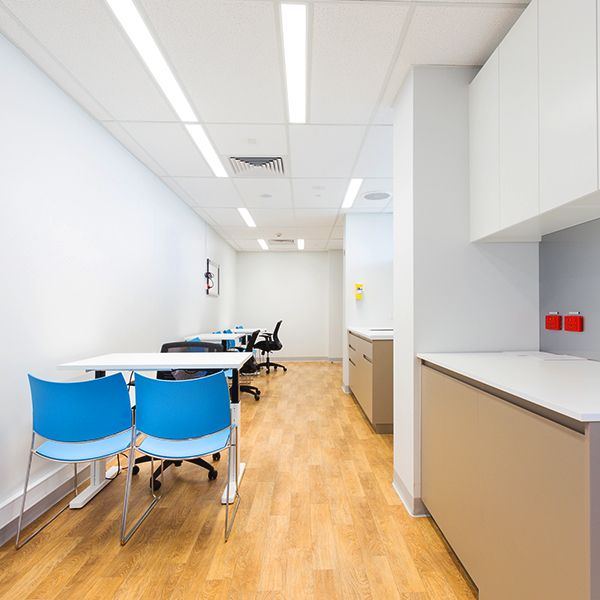 Bethesda Hospital and the Tenant are very pleased with their new fitout and appreciated Habitat 1’s attention to detail throughout the design and construction process. The new tenancy not only met but exceeded the expectations of the tenant as it takes advantage of the million dollar view, with large windows and natural floooding the space. If your business is embarking on a relocation journey or refurbishment project then let us buy you a coffee and discuss how Habitat 1 could help you achieve your project goals cost effectively.